If your company uses Eventbrite for the ticketing of their conferences, webinars, and events you are probably very familiar with the need to move those registrants into your other applications. Event marketing management tools are only useful if the attendees and their information can make it into your CRM and marketing apps correctly and with minimal effort. These 5 Eventbrite integrations make event marketing, follow-up and sales more effective. A simple integration that moves an Eventbrite attendee into Salesforce as a new lead is great, but probably won’t cut it for most mid-market/enterprise companies and larger nonprofits. With a large number of attendees and customers to keep track of comes a need for complex marketing segmentation. An integration that will automatically search for the corresponding campaign in Salesforce and add the attendee as a campaign member eliminates the need to sort them out later or worry about emailing something irrelevant to an event attendee. If your information is correctly sorted in your CRM, you’re guaranteed to have cleaner and better results as you move your data throughout your apps. Maybe you want to send your attendees straight into your marketing apps so your email and leads lists can be as close to real time as possible. Instead of sending the attendees to your CRM first, you can send them to Hubspot or Marketo as people register, then use another integration to send them to your CRM. If you use Hubspot, you can easily send your event attendee’s First name, Last name, Email and website URL to a Hubspot Contact and also customize the integration to send more details. If you want to be made aware of each new lead, you can receive an email each time the new attendee isn’t found in Marketo. If the attendee’s email already exists in Marketo, you can automatically add the registered attendee as a lead in Marketo and add it to a program. OR you can send your lead to Salesforce and Marketo at the same time. The sooner your attendees are correctly sorted the sooner you can get the right marketing and event information to their inboxes. This makes communicating with your event attendees easier and helps them get excited for the event. When the marketing team needs to create follow-up drip campaigns, the leads are ready to go inside of Marketo or Hubspot. 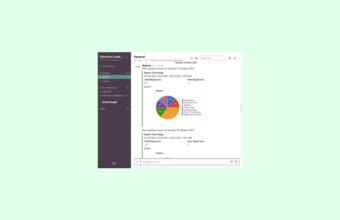 Slack can help to alleviate the silos between departments while integration can make sure the rest of the company is up to date with the event marketing team’s activities. Automatic Slack notifications when a new event is created or a new attendee registers helps the marketing and sales team easily keep track of registration without logging into Eventbrite. At Workato we get daily Slack notifications with a summary of registration so we know if we need to bolster marketing activity or ask Sales to invite more of their customers. If you have a recurring event like a webinar this integration is a great way to ensure you never forget to promote it. Each time you create a new event in Eventbrite, Facebook will automatically post with the message you designate and the details of the event (like what time, where, a link etc.) that you choose. You can ensure your email marketing and CRM are updating in one workflow. When a new attendee registers for your Eventbrite event, you can add their information to Salesforce or update their existing information in Salesforce. Then add their email to MailChimp as a subscriber to a campaign of your choice. If you are charging for tickets the smartest integration may be to send all ticketing info into both QuickBooks and Salesforce in one workflow (You can also do this with NetSuite, Intuit, or Xero). That means the funds from your ticket funds will be factored into your budget in near real time and your attendees will be automatically sorted into your CRM. That means no reconciling your ticket sales or manually entering an attendee list. How do you set up these integrations without adding to IT and business systems’ backlog? Integration and automation save you time, reduce errors and give you up-to-date information on demand. Event Marketing Automation like the integrations show above are critical for marketing and sales to effectively produce high ROI from events. But how do you create these automations quickly and robustly? Workato is an intelligent automation platform that solves the biggest problem in business – app silos. The average enterprise relies on over 2,000 apps according to the 2019 report from McAfee, a number continuing to rise as technology continues to transform the workplace. This means tremendous manpower will be required to make these apps work together, leaving IT and Business Systems leaders overworked and underappreciated. This trickles down to Eventbrite as well. Unless you dedicate development time, there aren’t many options for a truly robust integration between Eventbrite and other business apps that operate at the level needed for mid-market and enterprise users. That’s why Workato and Eventbrite are working together to bring teams the Eventbrite integration they need.